I have recently found out that i have no fuel pressure. So i have checked for voltage at the fuel pump. Had no voltage. Check for fuse and fuel pump relay. the fuse was good and the relay had power fuse F47 but no power to F51. which feeds alot of other circuits but also is the coil side power on the relay. So i traced back on red/wht wire where it splices in to supply power to one of the fuses on the engine electronic fuse carrier. Then it branch into engine control module relay. This engine control module relay (presume is the main relay) either has no voltage or isnt working. I have attached some wire schematic on this post if you guys have any thoughts. What supplies power to the main relay? This 60A fuse on the schematic, where is it located? I guess I can trace back the red wire. The 60 amp fuse is what powers the relay. I see if I can trace is back by pulling the wire. So remember that brown and white wire that was broken? Well, it was important. It was connected to the main relay and was broken from the DME. The main relay did not have power, the DME supplied the ground. As soon i connected that wire to the Dme. I then had power on fuse F51, schematic below, i belive this is what bring power to the fuel pump relay. But as soon as i turn the key to the ON position, F51 10A fuse blows. I think i have a electrical short somewhere. What do u guys think? There are 3 wire that get power from fuse F51. I have disconnect the fuel tank leakage and secondary air pump connectors fuse F51 still blow. I dont know where the secondary air pump relay is. Any help on where that would be appreciated. Would F51 fuse being open. Would the open from the fuse disconnect voltage from the fuel pump relay? Last edited by mic2damgood; 11-25-2018 at 11:15 PM. Measure Ω from pins 2-7-18 to ground. It should show low Ω indicating a short. 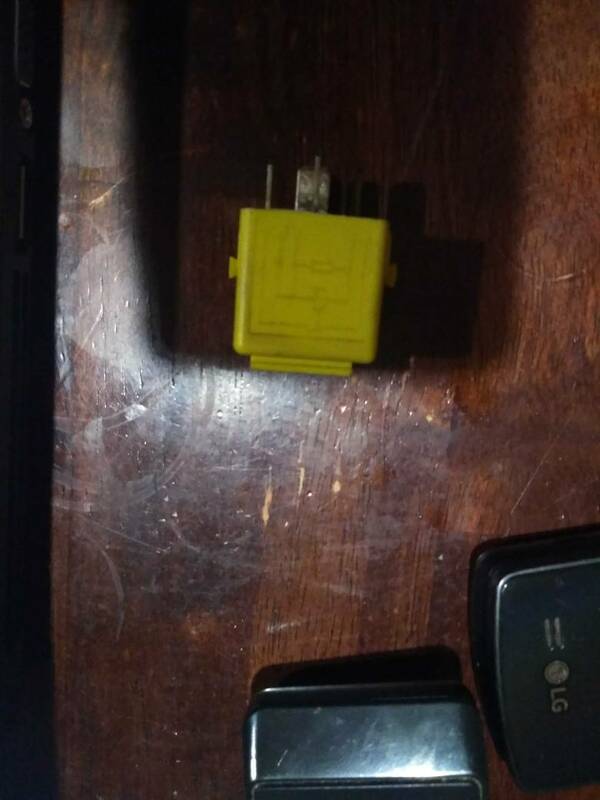 You'll have to disconnect the connector to measure them independently to determine which is shorted. The "ground?" Is power to some other subsystem. Last edited by andrewwynn; 11-25-2018 at 11:44 PM. I have also found out from a schematic that fuse F51 supplies power to ABS/DSC module and steering angle sensor. It also said on the glove box cover where the fuses are labeled. 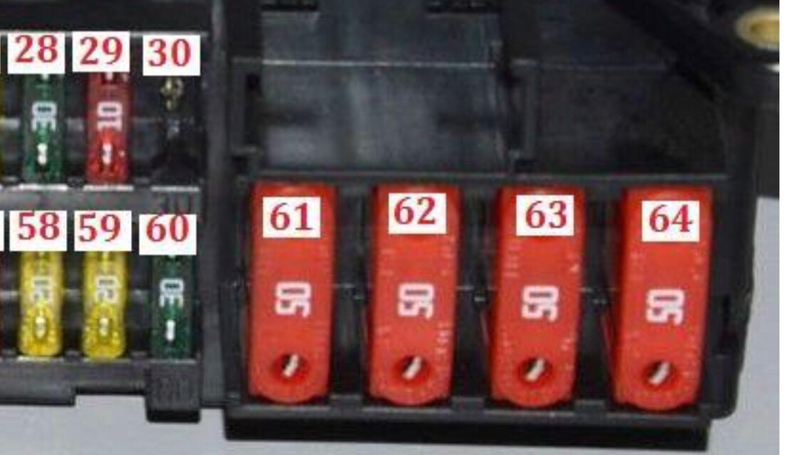 The fuse F51 is connected to obdII. But I haven't found it on a wiring schematic yet. I found what was blowing f51. I found the secondary air injection pump relay and removed it. Fuse didn't blow. But then I realized that the relay was the wrong color. It was yellow like the one pictured. But I needs to be pink. I ordered a relay online. I will install it when it gets here later this week. Fun job - following after some butcher has been at the car... good on you for rescuing it. Odds are the relay is wired the same. Unless their is a defective in the relay their is more likely a problem in the wiring somewhere but awesome if you've found a way to stop the fuse from blowing you know which path to chase the fault. If you can keep the fuse from blowing now maybe you have power to the DME to get reading via obd. I was recently working on a Volvo replacing the radiator and I forgot to reconnect a connector and had a no start condition. I think the connector included the camshaft position sensor. Make sure all the mission critical sensors are connected.